Have trouble getting it straight or even? Do you have allergies to cosmetic products? Do your environmental allergies cause you to re-apply several times a day? Maybe your job requires that you go traditional makeup free? More women every day are finding that for the above reasons–and more–permanent eyeliner is perfect for them. The liner can be applied in many styles and colors, from soft, natural-looking lash enhancement to a thicker defined line–the choice is yours! Whatever look you choose, you will wake up, shower, exercise, work, swim, and go to bed always looking your best. After tattooing eyeliner for over 25 years I always recommend avoiding light color pigments. They don’t age well and can create issues 10-15 years down the road.The best shades are black or near black. If you want a dash more color, or a smudgy type finish we can add a “halo” to soften the upper liner edge and add that hint of color. This will give you the best color last and “age” the best in the skin. Lash enhancement – Tiny dots implanted among your lashes make them look thicker without a makeup look. This works best for those with dark lashes. Works for both upper and lower. Men often like this choice. 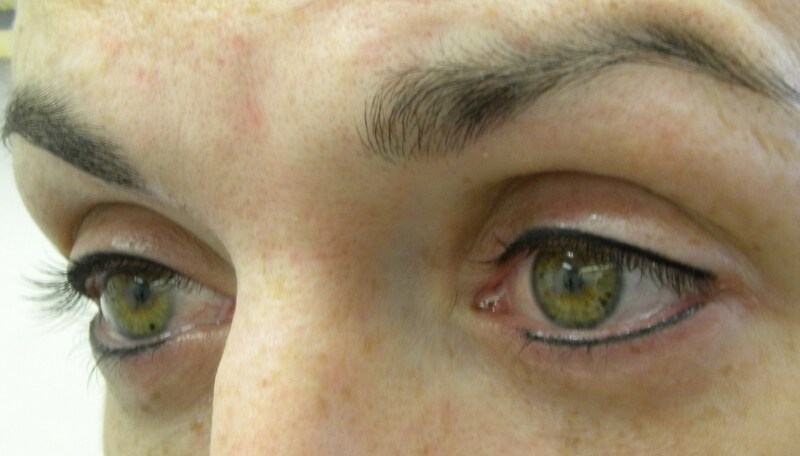 Natural line – A thin line that is in and just at the edge of the lash line. It will look like makeup when first done. Then heals to a very soft natural finish. Great on upper and lower liner. Classic line – The upper line is typically thin near the inner part of the eye and wider at the outer corner in a slight wedge shape. The lower follows the lash line in a thin or slightly wider line. Dramatic line. This is for those who want a wider upper line. It commonly requires an additional visit as the eyelid will only take a limited amount of pigment during a visit. There is an extra charge for dramatic lines. Not recommended for those with a heavy eyelid. Less flattering on maturing skin. Only want upper or lower? Certainly. Many women choose to just have upper eye lining. It can be more flattering on those who have mature or sun damaged skin. Let’s chat. If you wear contact lenses, please bring or wear your glasses. Contacts must come out prior to the procedure. Do not reinsert them until your eyes feel normal. Please bring dark glasses. Your eyes will be light sensitive following the procedure. Glaucoma? Please check with your doctor to make sure this is a safe procedure for you. Recent eye surgery? Please check with your doctor to make sure it is safe to proceed or if you need to wait to be completely healed. Since your eyes may be irritated, you may want someone to drive you home. You may want to use ice packs when you get home to deal with any possible swelling. If you are prone to eye infections, we need to discuss this during your consultation. New eyeliner procedures. These include the consultation, procedure, and that all-important follow-up visit so we can make sure it is exactly right. A new standard eyeliner procedure (upper and lowers) includes two visits. $600. Upper or lower only is less. Halos of color require additional visits and are more. Dramatic lines are also more. 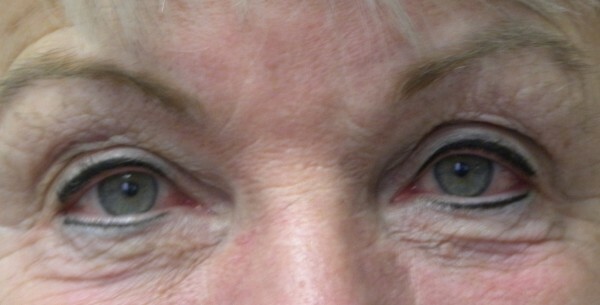 Eyeliner re-enhancement is a single visit at half-price, ($300), to perk the color back up if it has started to fade. If it has been more than five years, there may be a significant color loss. We may be starting over versus a re-enhancement. It is best to come in for a consultation so I can see what you have and we can come up with the best plan for you. Eyeliner typically costs less than Botox and lasts years longer. Call for your consultation visit today: 541-344-7789.